On the green and beautiful tuscan hills, in Sant'Andrea a Pigli, in Arezzo countryside is located "Podere la fontaccia" that produces Extra Virgin Olive Oil the manner of a time. Love and passion for this work and a long family tradition are the elements that characterize the brand "Buonavita" . Craftsmanship olive , olivees hand collection with the aid of networks and the squeezing carried out day per day (never more than 2 days) with cold stone milling are an integral part of family traditions because respecting their history means to ensure the highest quality. 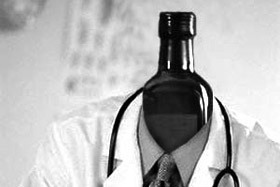 Extra Virgin Olive Oil , as we know, is the main ingredient of the diet mediterranean, healthier in the world. This means that extra virgin olive oil use is critical to make monounsaturated fats in our daily diet, the famous 'good' fats that help to remove cholesterol in the blood. "Podere La Fontaccia" is located in the tuscan hills of Arezzo spledide slope. The olive trees from which is produced extra virgin olive oil good life are five different varieties, all 100% italian and are treated with organic fertilizer for a high quality final product. The epithet "green gold" associated with extra virgin, refers only to its economic quotation or is there? Remember when as children, it happened that broke the oil cruet and grandmother, in the grip of hysterics, she is shouting "malasorte!"? 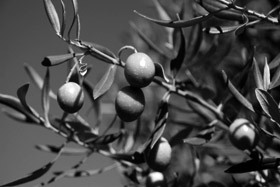 The passion combined with family tradition is a product of Extra Virgin Olive Oil Buonavita prized. 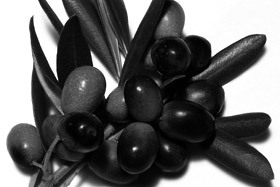 The olives are picked by hand and cold-milled almost daily. The production run is limited, every year they are produced between 2000 and 3000 units. The Extra Virgin Olive Oil Buonavita combines passion and treadizione for a final product of high quality. Each step is extremely accurate as in the best family traditions handed down.